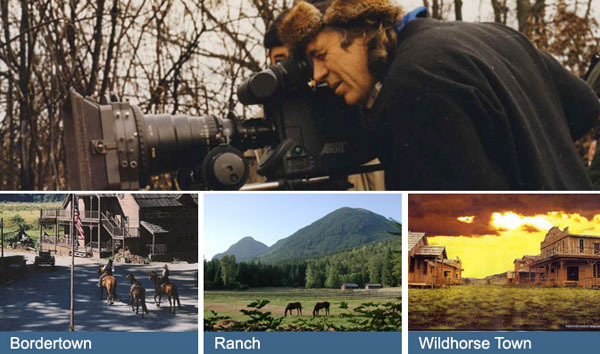 Established by Danny Virtue in 1985 the Virtue Studio Ranch is full service film studio and working ranch in Mission, British Columbia. Comprised of over 200 acres and a joining 5,000 acres of crown land, the ranch is nestled in the heart of the Fraser Valley, only an hour from downtown Vancouver. Surrounded by white capped mountains, the ranch supplies a variety of different panoramas: from green fields, to rolling hills, to lush forests, the Virtue Studio Ranch offers boundless opportunities for exterior locations. It has three creeks, water falls, old log barns, cabins and horse corrals with a rustic facade. The ranch’s many support buildings include a 55,000 square foot indoor arena used for cover sets, production offices, lunch room, gym, and over 10,000 square feet of storage space. The ranch has played host over the years to hundreds of different projects. It was first used as the primary location for the critically acclaimed Canadian television series “Neon Rider”, becoming an essential character in the show in the process. Over the past 20 years, projects such as “Nothing too Good for a Cowboy”, “The Black Stallion”, “Dungeon Siege”, “Shooter” and dozens of Television commercials have benefited from the unique settings of the Virtue Studio Ranch. The Virtue Studio Ranch has been home to over a thousand hours of movie and television production over the past 30 years. The Ranch was declared by the unions and guilds as the official studio ranch back in the 80’s. It is a truly unique setting, and the first of its kind in Canada. 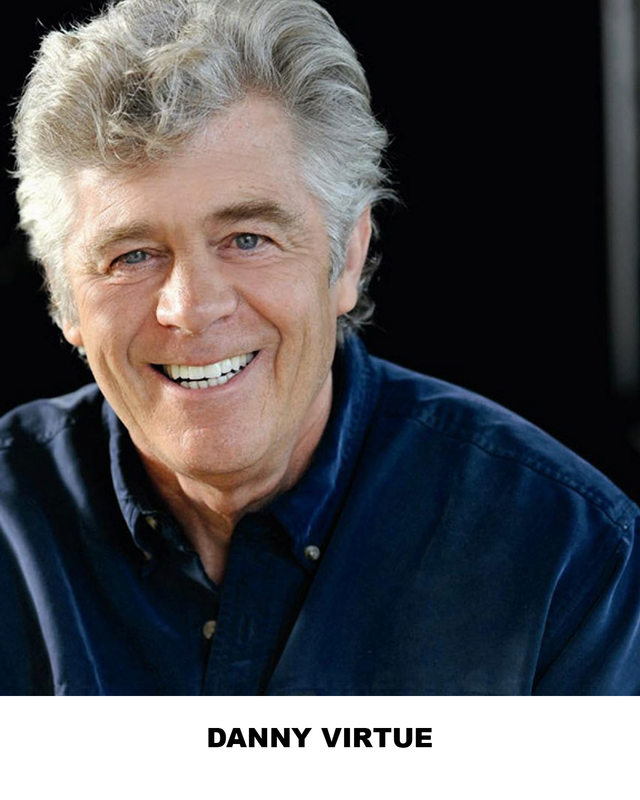 Founder and Director of the Virtue Foundation, a non profit organization whose primary objective is to aid physically, mentally and financially challenged youth. The foundation is involved in charities, community service and fundraisers throughout the year. Owner and trainer of over 40 specialty movie horses – including cast horses and world famous Andalsian Stallions. Owner of an extensive collection of movie props, set decoration, wagons and western gear. The world famous Bordertown sits on over 1000 acres on the outskirts of the picturesque Maple Ridge area of British Columbia. It is well known internationally as one of the most unique Western themed locations in Canada, and has been featured in a wide array of Film and Television projects, ( not to mention dozens of commercials) since it’s inception in 1987. Bordertown is a fully functional Old West Town, which includes jail, saloon, hotel, general store, and barn buildings. Far more than just a location, Bordertown is provides a complete Old West experience for any film or television project. The awe inspiring variety of this unique location can accommodate any size or style of production, offering not only the physical location, but also a complete inventory of set decoration, props, animals, wagons and tack. From “Smallville”, “The X-Files” and “Masters of Horror” to “Underworld 2”, “Wickerman”, and “Seven Years in Tibet”, Bordertown has been a consistant contributor to high quality productions, bringing over 300 million dollars of revenue into the Fraser Valley region over the years.